The body has been a central object of gender research since the 1970s. Especially in sociology, but also in history and philosophy, theoretical perspectives have been formulated under the name of "praxeology", which converge despite all the differences, even those based on disciplines. 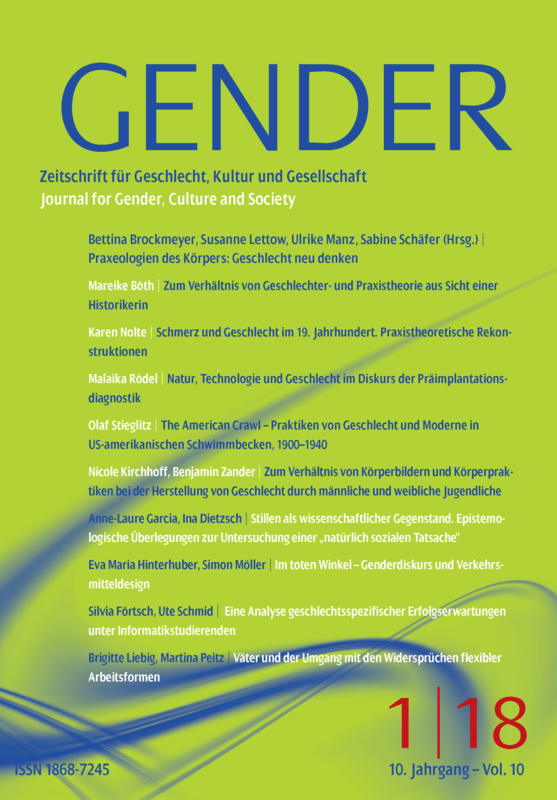 The focus of this issue is to determine the relationship between gender studies and practical theory in more detail.